This is a web and mobile based project which means that the project will run in a mobile phones with admin control panel that is accessible online. PHP, MySQL/MariaDB and Bootstrap were the development tools used by the researchers. Accounts Management refers to the payroll system of the company, it is a web based application that runs in a local network. The project has also a notification system in a form of SMS or Push Notification. 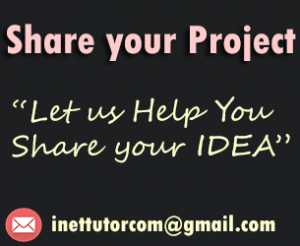 Students Information System is a web based project that will store and manage the personal records of student. Herbal Information System is a computer based application to store and display information of herbal plants such as their name, usage and purpose. It was developed in Visual Basic and MS Access. Grades are very important and confidential, that is why the researcher developed a program that will manage the grades of students. The project is a client server application that runs on a local area network. BuddyPress is a plugin in WordPress that allows you to create community websites and social networking websites. This project was written in Visual Basic and MySQL. The link will redirect you to the download page where you can download the complete source code and database of the voting system. Barangay Management System includes the profile of residents, blotter report, clearance generation and many more. The project has also a mobile application both in Android and iOS. The web based entrance exam is a LAN based application that allows the students to take the examination using their mobile phones. This project uses PHP, MySQL for the backend and Bootstrap for the user interface or frontend of the application. Results are being sent to the students via SMS. This application will allow the customers to order products and items using their smartphone. This is an ecommerce application with mobile application. Other feature includes the billing statement and tracking of orders. Accounting System is a process of monitoring the debit and credit or also known as the balance sheet. This project is a web based project developed in PHP and MySQL with the latest version of Bootstrap which is version 4 or Bootstrap 4. Science learning game programmed in Visual Basic and MS Access. The application consists of science lessons, quizzes, drag n drop game and others. With this project, you can now learn and read java related lessons using your android devices. The application can be used even if there is no internet connection, which means that lesson, exercises and quizzes can run in an offline setting. Transcript of Records is the compilation of subjects with grades of the students, manual record and process usually takes time to generate TOR, that’s why the researcher developed a project to automate the processing of TOR. the source code is free to download and it was written in Visual Basic.Net and MySQL. GSO stands for General Services Office; the system is intended to monitor the supplies and equipment of the said office. Math Game is a stand-alone platform programmed in Visual Basic. It consists of the basic math operations such as addition, subtraction, division and multiplication. Source code is free to download and modify. The source code was written in Visual Basic.Net and MySQL. Digital persona was used as the biometric device to capture the employees fingerprint. Student Information Management is an application that will record and store students personal information for archiving purposes. Decision support system includes the number of students per course, year level and the city they lived in. Information dissemination is very important and technology can play a very important role, online information board system is a cloud based platform that allows the administrator to post announcements and other updates. Billing and Payment system is intended to Water District Cooperative and Electric Cooperative, this will allow them to print billing online and accept payment as well, it also includes SMS notification and can be accessed through mobile devices. This project was written in PHY and MySQL, Online Subject Reservation will allow the students to select and reserve the subjects they want to enroll. This project was written in Visual Basic and MS Access, Fusion chart was also used for the graphical reports of the project. The project includes reports such as morbidity report, mortality report and many more. This mobile application is for K12 with subject related to mother tongue. Mother tongue refers to the native language or dialect. It was developed using JQuery Mobile and was converted into a mobile app using Phonegap Build. This application will allow the students to vote using the computers or via their smartphones. The system will not accept any records or votes once the admin will close the voting session. The database was installed on the ICT server where authorized personnel can access the unit, the voting module where the students can vote can be accessed in any modern browser. This project is a web based application written in PHP and MySQL. It allows the employee to set their duties and responsibilities, based on the responsibilities of the employee the supervisor will then give a rating based on their actual accomplishments. Time scheduler assistant will allow the users to record and set and organize activities using their android device. This project will automate the process of ordering food in the restaurants, it also includes payment option, billing and allows customers to post feedback and comments. PHP, MySQL and Bootstrap are the tools used to develop this project. Grading system with online grade viewing will be very useful application for both teachers and students. This will provide transparent records and students can check their grades without going to school. JQuery Mobile and Phonegap Build were the tools used to design and develop the offline herbal care app. The student portal is a one stop shop that will allow the students to view the activities of the school, interact with other students and receive important updates from teachers. Electricity Billing and Payment System is a very efficient manner to inform the consumers on their monthly electric bills and as well it allows the consumers to pay the bills online. Information dissemination is also very fast and accessible through the SMS notification feature of the project and on top of that updates and other important information can be accessed through its mobile application. For the security of everyone it is very necessary to at least report incidents in a very fast way in order for the police officer and other in-charge of the security and peace keeping can respond immediately. With that, the developers proposed an online crime and incident platform that will allow citizens to report a crime or incident using their mobile phones. This is online application that will showcase the different real estate property with their details. It also consists of a chat module that will allow the customers to directly communicate to the owner of the property. Learning math subject will now come in a handy manner. This is an offline mobile application specifically intended for math topics. The app consists of learning materials in a form of text, audio and video and it has an assessment feature in a form of multiple type of test. Monitoring of sales and inventory management is very important in business, it’s also the most important and yet tedious part of the business. Automation will play an important role in the success of your business, with that sales and inventory management were developed. Health is wealth and being healthy means we can do everything that we want. It is recommended to at least exercise twice a week but the problem is we don’t have enough time to go to the gym and exercise. The developers created an online and mobile based platform that will teach basic ways on how to be fit and healthy without going to the gym and fitness center. Transactions in hospital such as record keeping of patient information, doctor’s schedule of appointment and many more are scope of this web based platform entitled Hospital Management System. Fish information system for web and mobile platform will serve as a field guide and archiving system of the different species of fishes located in your locality. Elearning Platform using PHP and MySQL specifically intended for mathematics subject. Source code and database are included in the download package. This article will discuss on the different tables that will be included in creating an elearning system. It also includes the relationships and normalization of the database design. Database design, normalization, entity relationship of the medical record system is included in this article. It contains the description of the system, the database design with the different tables of the web based entrance examination system. Normalization is a database process in dividing large table into smaller table and links them. Tables and relationships between them are presented in this article. The article contains the list of tables that must be included in a simple sales and inventory system. Sea grass profiling system is a computer based system that allows the user to encode the information of sea grass and save it in a database (MS Access). WooCommerce is a plugin in WordPress that will convert the blogging platform into a business solution ecommerce website. This is a database design for libraries especially in the academic sector. It includes the different tables and relationships for you to be able to create a fully functional library system. The article contains the list of tables, Description of the system, features of the system and the flow of the system or how the system works. This article discusses the tables included in attendance system, the description of each table and the entities for each table. Flow of the system, description and expert and final testing were also included in the article. Database design or schema refers to the list of possible tables and the relationship between tables. For this article, we will present a sample design on payroll system. 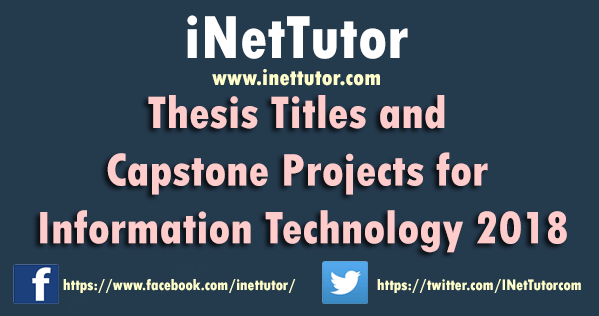 This is a project on data protection against removable storage media using Clotion Algorithm. This is a web based learning application in PHP and MySQL intended for Filipino Subject. For this proect the modules, text and other captions are in Filipino language. Information management can be used in different ways, for this project the researchers created an information management system that will focus on the health records of senior citizen. We can’t deny the fact that history related subjects are somewhat boring, computer aided instruction will provide a way that will make boring topics into interesting one by providing interactive materials, video presentation and many more. Faculty or instructors are required to submit their requirements such as grades, learning materials, class records, etc. Manual method of file management is really troublesome and prone to an error, that’s why the researchers presented a solution in a form of information monitoring system with sms notification. PHP, MySQL, Bootstrap and iTexMo SMS API are the development tools for this project. This is an example of database design for event tabulation system. The design was intended to accommodate any types of event tabulation. This is an online platform that will allow the advertisers to post their ads and to promote their product and services online. PHP and MySQL are used to develop the project. It is a CMS Based Job recruitment project designed and developed in WordPress CMS. The application will be very useful for both the job seekers and employers. Compilation of hardbound thesis and capstone project requires a lot of space. The article will help you build your own software based archiving system. It includes example list of tables for you to be able to develop a thesis archiving system. You have the option to use Visual Basic, C#, Java or PHP in designing your thesis archiving system. It is an example of possible list of tables that will be included if you try to create and develop an information system related to billing. We can create a water billing system in Visual Basci, C# and PHP. This is an online platform that will allow citizens affected by calamities to request any help and assistance directly to the DSWD office. The system will also be able to monitor and respond immediately to those who are in need of help. This is a web based project using PHP, MySQL and Bootstrap. This project is intended to replace the manual process of sales, accounting and appraisal for Jewelry shops. It is a web based project using PHP, MySQL and Bootstrap. This is a web and mobile platform used to monitor the number of population in a certain community. Census Monitoring Application will enable the respondents to view and update all the information they needed via online process. Please visit the link for further information. The article includes Introduction and Description of the study, Objectives of the study, the database design which consist of the sample tables that must be included in the development of boarding house and dormitory management system. This is a web based project in PHP and MySQL; it can also be accessed in mobile devices since the design is responsive. This project was already been implemented in our client, this will automate the process of sales, inventory of items and as well as the credit management of employees. Please feel free to contact us if you want a demo of our project. Visual Basic and MariaDB are the development tools for this system. This is an elearning platform for science and health subject in elementary and high school level. It has lessons, quizzes, video presentation and many more. Please visit the link for more details. This is a project on Attendance monitoring of employees using RFID Technology. Visual Basic.Net and MySQL are used to create the application. The article also includes the introduction of the study, objectives of the study, significance of the study and definition of terms. Queuing system is a process of automating the lining up of customers through computer based systems. Monitoring of balances and payment of students are also the main features of this project. The link will redirect you to the download section of the site where you can download the complete source code of the project. The project is a LAN Based application using Visual Basic and MS Access. The system has a rating module for employees and Succession Planning Module where the user encodes the possible replacement if someone will retire, resign or transfer to another institution. This is a cloud based platform that will automate the transactions in Salon. Point of sale, inventory and appointment scheduling are the key features of the project. It was designed and developed in PHP, MariaDB and Bootstrap. The project entitled Arduino Based Flood Monitoring with SMS Notification is a combination of hardware and software components which can monitor the water level using Arduino and at the same time it has a web admin panel that stores the record and sends SMS to the barangay/city officials. The project entitled Barcode Based Attendance Information Security Management System is a computer based system that provides easy and efficient way of attendance monitoring in your company and promotes security of individual so that no unauthorized person can enter in the restricted areas. This system helps to automate the manual operation and to maintain the records of all personnel and employees in the company. This project is to automate the purchasing of tickets in concerts and movies through the use of mobile phones. It also has an admin panel where transactions from the customers are forwarded and recorded. PHP and MySQL were used for the admin panel and JQuery Mobile and Apache Cordova for the mobile application. The link will redirect you to the download page of payroll system where you can download the complete source code and database. The source code was written in visual basic and mysql. This project will replace the manual method and processes in enrollment. The project is an online application that will cover the registration of student’s information, subject information and other enrollment related transactions. The objective of this study is to develop a system to create more improvement using geographic information system for City/Municipality which ensures the security and accessibility of all records and information of the said municipal. This project is a web based project using PHP and MySQL. It will be used to monitor sports equipment and to provide real-time inventory reports. The proposed system will minimize the time and effort consumed by the teachers in evaluating student’s performance and will provide accessible, secured, and accurate student records. Due to manual recording system, Hotels, Pension Houses, Apartments and the likes are experiencing a little bit of delay in their transactions, much time also is wasted in preparing forms and retrieving files. Because of these difficulties mentioned a while ago, the proponent would like to have a Web Based Hotel Room Management Information System in replacement for the old system it’s currently employing. DSS Functions are to Auto generates graphical reports of the current and previous income of the school and to forecast yearly income of the school. The article includes the following subtopics; Technical Background, Integration and System Testing and Database Schema with description of table. The objective is to convert the manual process of monitoring the facilities, supplies and equipment into a reliable information database system. PHP, MySQL and Bootstrap were the development tools. This is a web and mobile based project which means that the mobile application is connected to the web application that shares a central database. This is available in android and ios devices. Visit the link to get more information about the project. Tourism Information Kiosk is a solution to use as information points in public areas or business premises. It can effectively help visitors to the area to get a better idea of their location and direct them to various points of interest in the surrounding area. Online Expert System with Knowledge Based Application for Health Clinics is a kind of system that advance the regularity and increases performance of medical personnel. PHP, MySQL and Bootstrap were used to develop the project. The objective is to monitor the movement of vehicles that goes in and out of the terminal and generates the daily, weekly, monthly and annual income. The article will discuss on the data flow diagram or Registrar Grade Record Management System. Visit the link to view the different data flow diagram related to registrar grade record management system. Visit the link to read and view the studies and systems related to voting system.